FoundOcean is a leading engineering company which has been providing offshore grouting services for the global energy construction industries for over 45 years. It provides a range of services to the oil & gas and renewable energy sectors, including foundation and structural grouting, structural repair and strengthening, as well as pipeline and cable support and protection across the globe. The Think Tank has been appointed to raise FoundOcean's profile within these sectors through PR support activity in the UK and beyond. 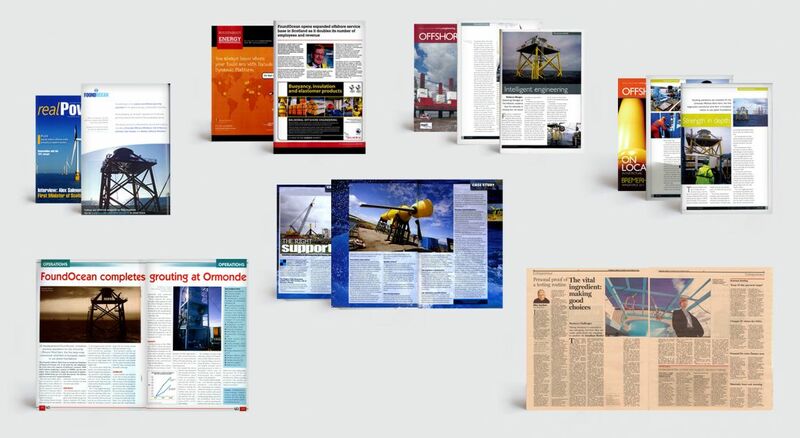 Working closely with the in-house marketing team we have been developing article opportunities and comment pieces across the European energy sector press, engaging with stakeholders, discussing key industry issues and demonstrating that FoundOcean has the expertise and experience to answer the needs of the sector through innovative engineering. We secured opportunities within the core industry titles to raise awareness of FoundOcean's capabilities, and position it at the forefront of sector expertise. We focussed our efforts on delivering and securing industry comment, feature articles and case studies around the groundbreaking work that FoundOcean is doing, and supported the company at exhibitions and events.